RESCHEDULED! YOU MUST REGISTER AGAIN! Five years ago, Adam Halper, by his own admission, knew practically nothing about mediation. He hadn’t studied it in law school. It was hardly ever raised as an option for his clients in litigated matters and when it was, he didn’t think it appropriate or worthwhile. Five years is a long time. After Adam took a first mediation training, he saw a remarkable change in his own perspective. Mediating in different forums and working with ADR professionals has changed the manner in which he works with clients, other attorneys and stakeholders. Adam will lead a discussion on how learning, using and growing mediation skills and having an ADR mindset can positively impact one's other professional practices … and life. ADAM J. HALPER is an attorney, mediator and the Director of the Legal Wellness Institute (LWI) at The Family Center. There, he leads a team of lawyers, paralegals and pro bono volunteers who represent vulnerable New Yorkers in a wide variety of litigation and transactional matters. LWI is a boutique law department which serves thousands of NYC residents annually. As Director, he helps oversee policy and decision-making, both for LWI and for the entire agency. 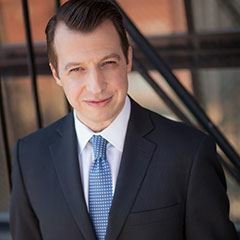 In addition to his management work, Mr. Halper represents individual clients in family and matrimonial law, administrative law, elder law, trust and estates, housing, and general civil litigation. Mr. Halper is a mediator for the United States District Court for the Southern District of New York, where he also serves on the Mediator Advisory Committee. He has mediated contract, land use, civil rights, employment, commercial and community disputes. He is an active member of the Alternative Dispute Resolution Committee of the New York City Bar Association and of the Dispute Resolution Section of the New York State Bar Association. He is a graduate of NYU and Cardozo Law School. He lives in Westchester with his wife and their two remarkably active, young sons, for whom he often mediates fiercely contested Lego-sharing and iPad screen-time cases.